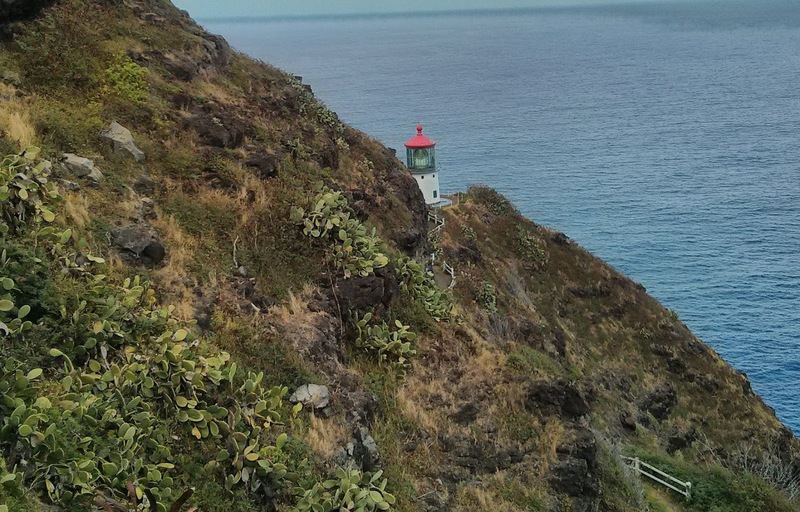 The Makapuu Lighthouse is located on the south east corner of Oahu; about a 30 minute drive from Waikiki. It is a wonderful trip around the shore where you can show your family ocean blowholes, wild life, vivid scenery and so much more. It is a great way to get out of the big city and start to explore the island. The hike itself isn’t hard but does present certain challenges. It is a little more than a 2 mile round trip. The bulk of the trail is paved and very easy for strollers or for kids that trip over their own feet. It is a little steep at points. From top to bottom it is a 500 foot elevation gain, though there are plenty of places to stop and rest, sit and watch. 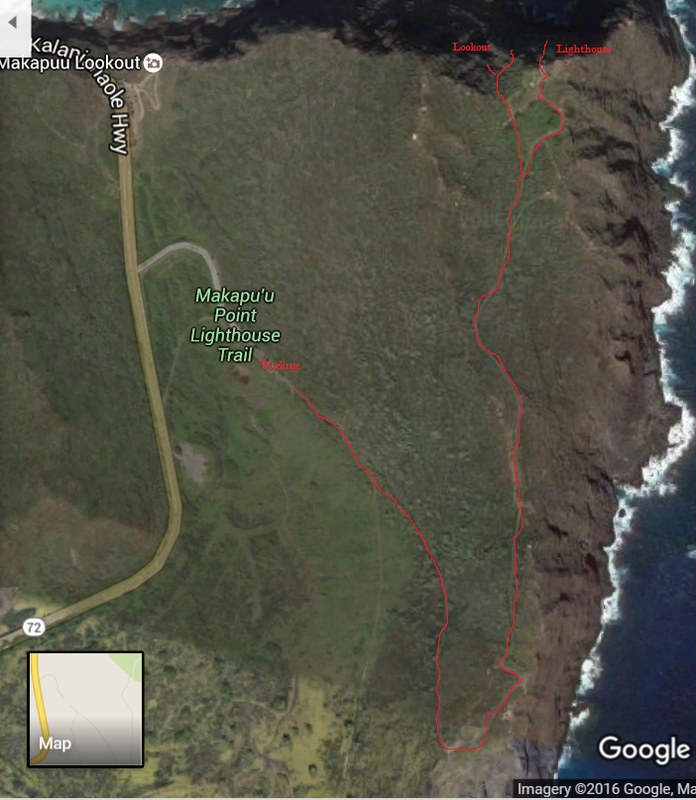 The trail is a great vista over a whale sanctuary and many humpback whales can be scene between November and April. There are several free telescopes that can be used along the way to get a better look. There are also several variety of sea and island birds that frequent the trail. As you get towards the top you can choose to follow the paved path to a scenic overlook or branch off road to a dirt path that will take you to the light house. Though you can go up to the light house it is not open to the public. It is said on particularly clear days form the overlook you can see Maui. The trail tends to be hot and dry so bring appropriate sunscreen and water. The only bathroom is a port-a-potty at the trail head. From Honolulu, you take the H1 freeway east until it becomes Highway 72. The park will be on the right side of the highway just before turning north and heading down the hill. You can take the number 23 bus but it drops you off at Sea Life Park a mile down the road. Going on a family vacation builds memories, provides life changing experiences and helps teach about the world we live in. Take time to explore, enjoy and have fun. 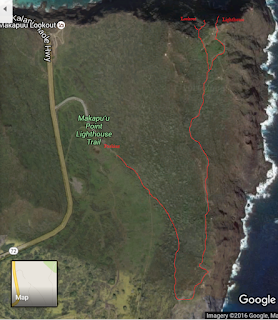 If this hike sounded interesting, you may also like the Kaena Point. You can also look at our entire list of Hawaiian Attractions.